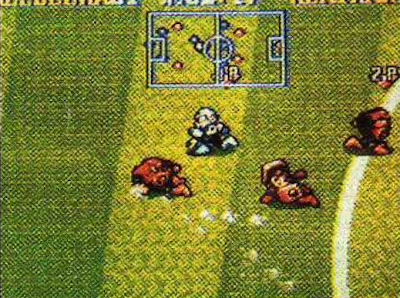 Rockman Corner: Check Out Heat Man in Mega Man Soccer! why is Air Man red? The game had multiple color palettes, that way if both teams had Air Man you could tell which ones belonged to which team. Goalies also had different colors. If those characters were cut that late, it's surprising that there hasn't been any data found for them like there has been for playable Dr. Wily. The playing field looks different, too. Haha! I remember this game. XD I had so much fun playing it when I was little. Now I just question why they made it. I was so easy to please as a young lass. lol! Interesting info! I wonder what other stuff didn't make it into the final game. This is some obscure stuff that just gets lost over time and really takes effort to look into. Judging by the 2 Air Mans color, they are in Heat Man's team, so his team can't be defeated! I heard of this screenshot yeeeeeaaaaaarrrrrrs ago. It's awsome to finally see it! Makes me want to re-open Megaman Mysteries just to add it in. What a bizarre thing to exist. "So. We have these things called video games. Basically, images appear on a screen, and you press buttons to interact with it. We also have this sport called soccer. You kick a ball back and forth and try to get it in a rectangular goal. There's this imaginary robot character too. His name is Megaman. He fights evil robots. Yeah, we put all that together." WHOA! That site in the link is full of nostalgia for Brazilian gamers! Me likes it! :D It even has the oldie "Guia Games"!!! 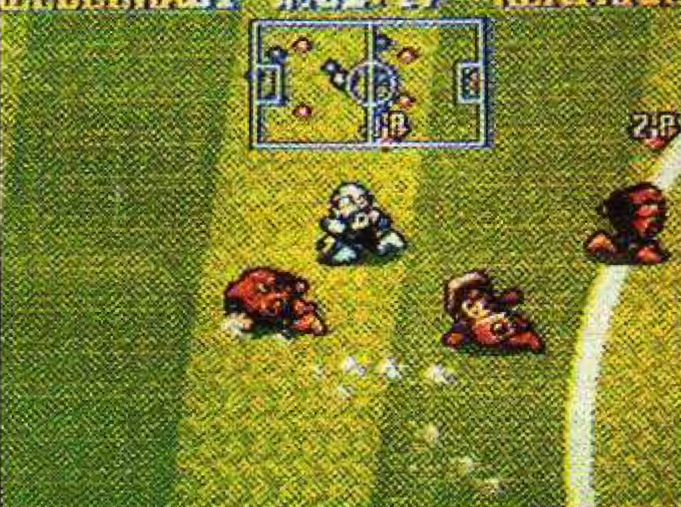 Rockman's Soccer was a few years too early. Imagine it remade in 3D like a modern FIFA game, but with animesque special powers and visual effects to the max!